Panelists from left to right: Jack Lessenberry, Zoe Clark, Rick Pluta, and Matt Marsden. As host, Lessenberry kicked off the night with some questions for the panel. “I mean, I think you can’t not talk about 2016 and what it’s meant for Michigan and for the country,” Clark said. 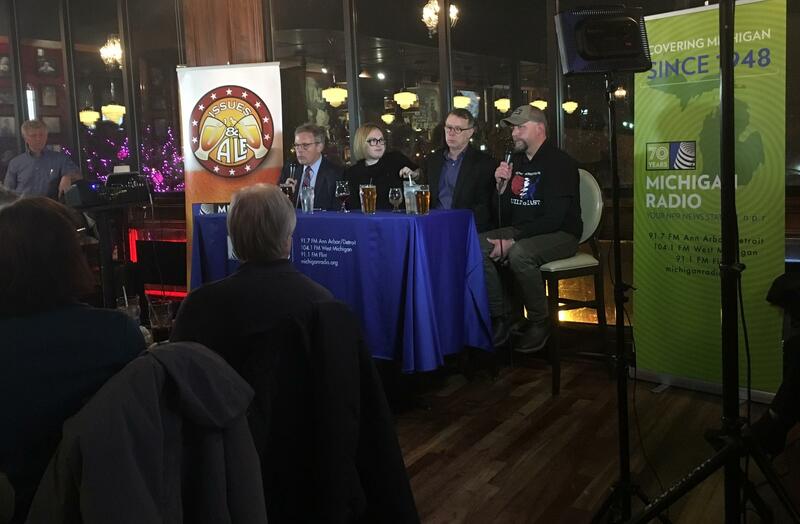 Monday night's Issues & Ale event was held at HopCat in Royal Oak. As hard as it may be to believe, she said, this November will mark two years since election 2016. She said some indications show it’s possible we’ll see a wave toward the Democrats in response to that election. He said he’ll be watching to see if these retirements significantly impact the makeup of the House and Senate. Marsden also said he’ll be watching the Women’s March movement, and the impact it might have on turnout this election year. Marsden said he’ll be focusing on both Congressman Mike Bishop’s seat and Congressman Dave Trott’s seat. 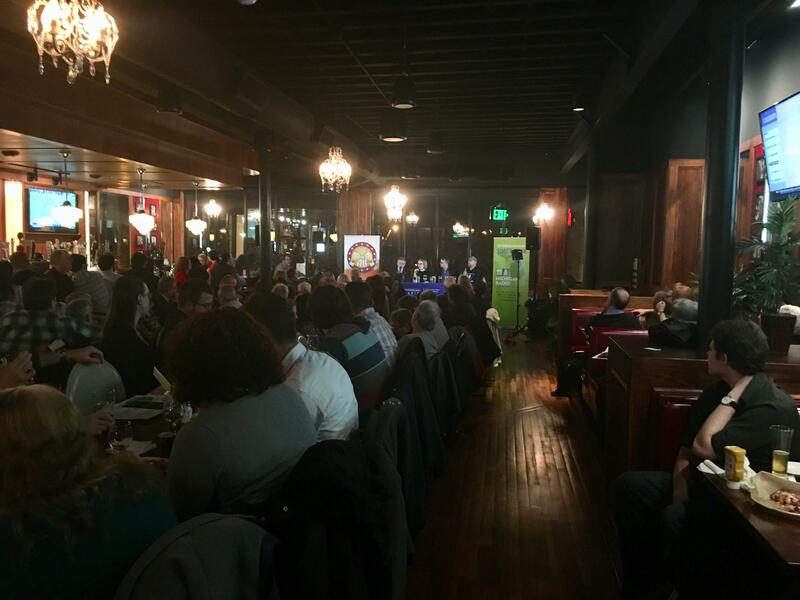 Audience members filled HopCat Royal Oak's second floor room. Pluta said he’s also, of course, interested in the governor's race. Clark said she’ll be watching “one of the most under-covered races” – for Senator Debbie Stabenow’s seat. “Republicans yet again, for another cycle, seem to ... be throwing up a candidate who they’re not putting a lot of money into yet,” Clark said. If a Republican wins the governorship and Stabenow wins her U.S. Senate seat again, Clark said she’ll be interested in looking at that margin. Lessenberry said he’ll be watching the Voters Not Politicians referendum most. He said if the initiative does make it onto the ballot, it will pass. 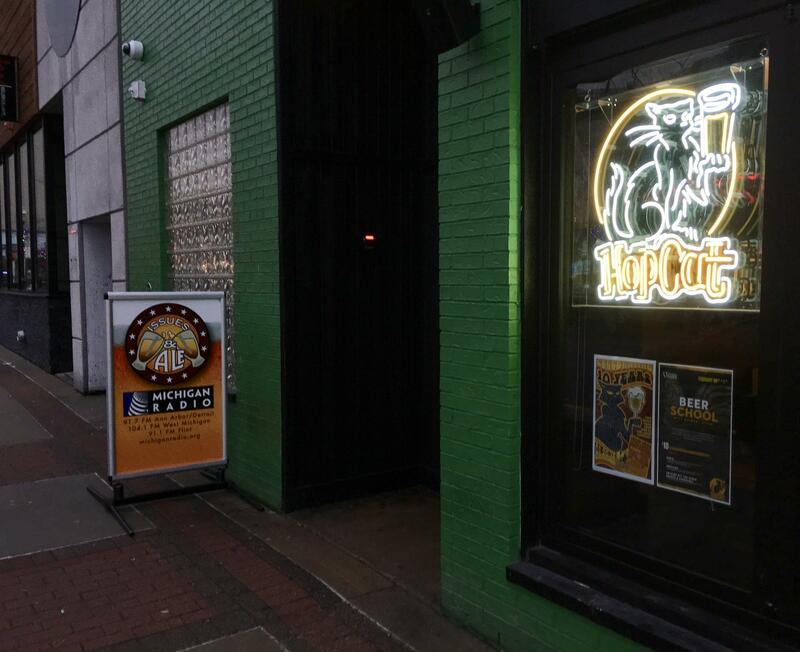 For the complete Issues & Ale conversation, listen above.